It’s no secret that we’re in the middle of an app revolution that is rapidly transforming the way we do business. We’re moving from antiquated paper and spreadsheets to streamlined mobile business apps. These new processes require a higher level of agility and speed to compete on a whole new level — and those that don’t adapt now are on the fast track to obsolescence. This fast-changing landscape presents both a challenge and an opportunity. The need and ability to be faster and more nimble has pushed a wave of demand for business apps across all departments and industries — everyone is asking for more. And they need it now. This isn’t a small ask. Gartner estimates that the demand for apps outstrips IT’s capacity to build by a factor of 5:1. This means that the business must find new ways to build apps faster, or look for trusted prebuilt apps to buy. Failing to do either is not an option in today’s business environment. This is where you come in. 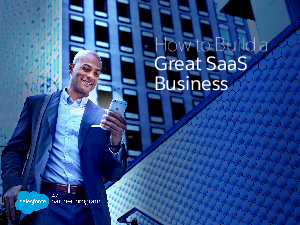 Those who are able to build trusted business apps that satisfy customer demand stand to grow and profit greatly. This is the opportunity and it’s time to take advantage of it.